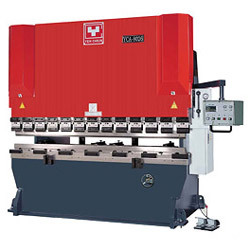 Manufacturer of Hydraulic Press Brakes & Hydraulic Forming Machines. 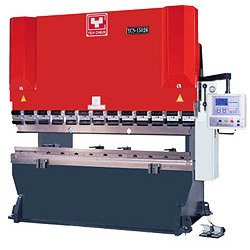 1.European DELEM multi-axis controller. Workpiece and tooling are displayed in color graphics. 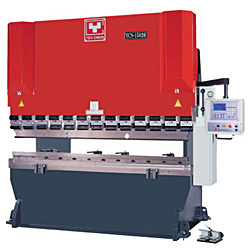 Flat bed hydraulic press brake (good for steel furnitures production). 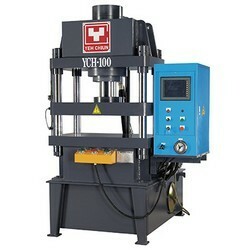 1.Adopt AC servo motor. Free of carbon brush and maintenance. 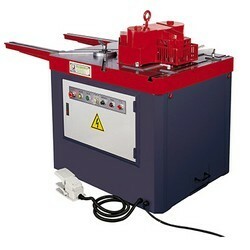 2.Speed of back gauge: 1000 rpm. 5. 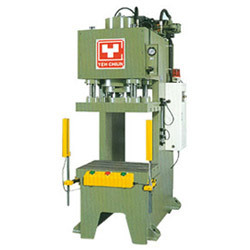 (G point of Servo motor is taken as the basis point). 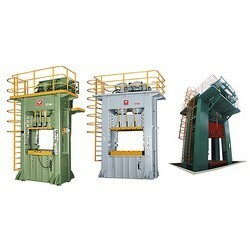 1.OA Steel case and cabinet. 2.Tooling storage box and cabinet. 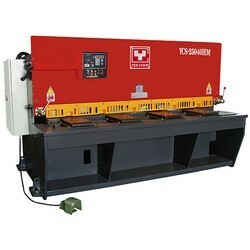 3.Reftigeration and Air conditioning cabinet. 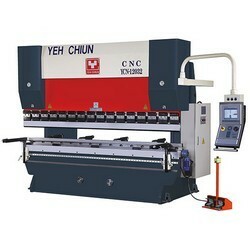 Manual folding machine YCB series. 1.The machine structure is C-frame. 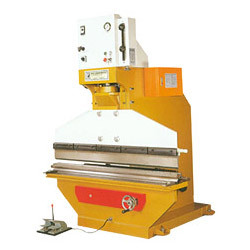 All the parts are included in machine body, the operation is safe and simple. 2.Design is simple and free of trouble..
1.Slide table reverse 180° system. 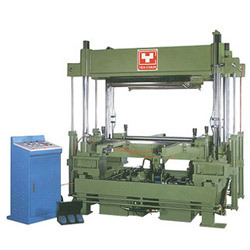 4.Bolster hydraulic positioning lock system. 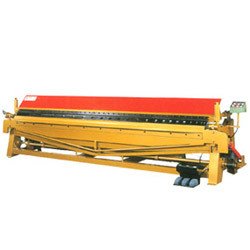 6.Optical scale precision positioning device. 1. 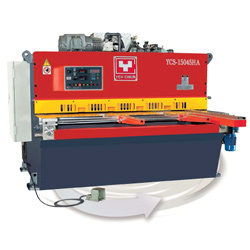 Programmable hydraulic circuit hydraulic guillotine shear, automatic adjust angle of blade, shearing gap by hydraulic cylinder. 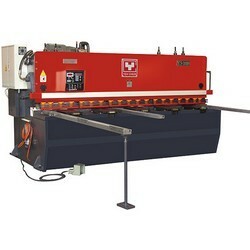 The shearred edge is bur_free and precise. NC hydraulic swing beam shear. 1. 10.4" single color LCD screen display. 2. Monitor graphical display of parts profile. 3. 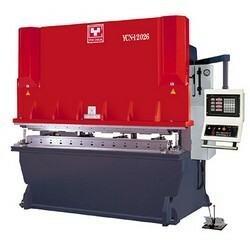 Automatic calculation of parts blank length. 4. Graphical simulation of parts forming sequence. 1. 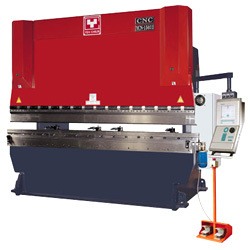 CNC/DA-65W/69W hydraulic press brake YCN series. 2. 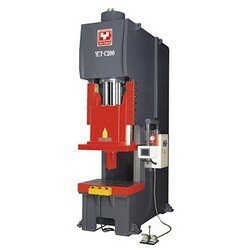 Number of controllable axes: 4-11. 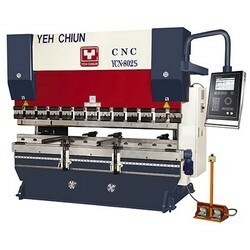 CNC/DM-51 hydraulic press brake YCN series. 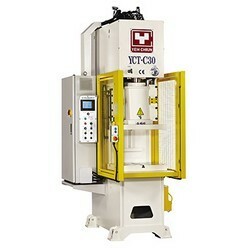 NC-202 hydraulic pess brakes YCN series. 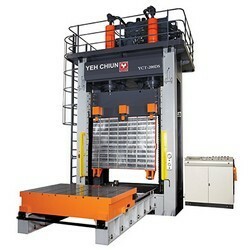 NC-05 flat bed hydraulic press brake (good for steel furnitures production). 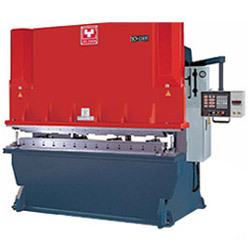 Hydraulic press brake YCA series. 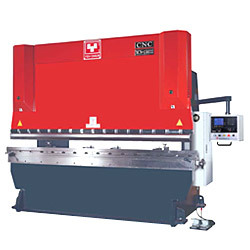 CNC more-axis guillotine hydraulic shear YCS-H series. 1. 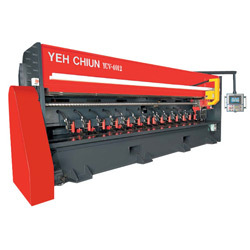 Product name:NC hydraulic swing beam shear YCS series. 2. 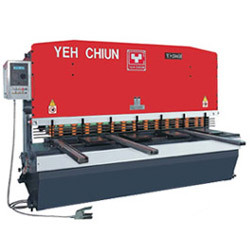 Swing beam ram designed mechanism offers precision shearing and advantage of quick and easy operation with electrical blade clearance adjustment by worm gear. 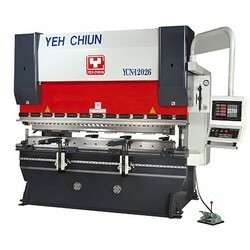 Universal hydraulic press brake YCU series. 1. Back gauge motor : 1/2~1 HP. 3. Reduction ratio: 1 0 : 1. 4. Accuracy: + / - 0 . 1 m m.
5. Stroke: 5 - 8 0 0 m m.
6. 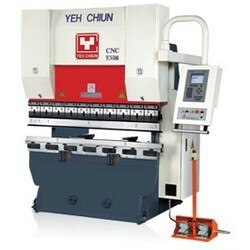 NC hydraulic guillotine shear ( YCS-H series). 1. The control system is from Netherlands DELEM (multiple axes). 2. Graphical color display of parts profile. 1. 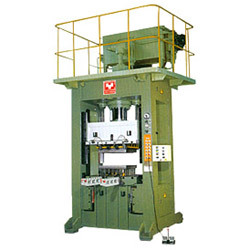 Processing length depends on working piece length. 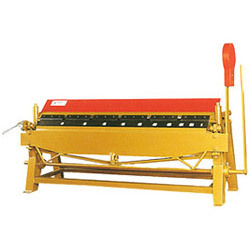 Planer tool's stroke is adjustable. 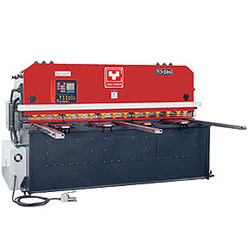 Planer working speed is stable and fast. 2. CNC 3 axes control, with semi-auto / auto processing function. 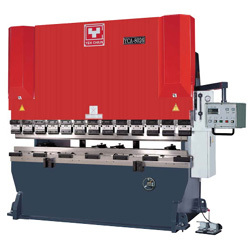 European Delem DA-52 controller offers multilanguage selection. 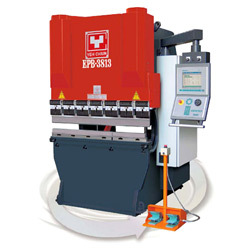 It's easy operation by directly inputting angles or sizes of axes while programming. According to different request, controlled axes vary from 2 to 5 axes.